Step 7: System notify the status and the pick up point to the user. 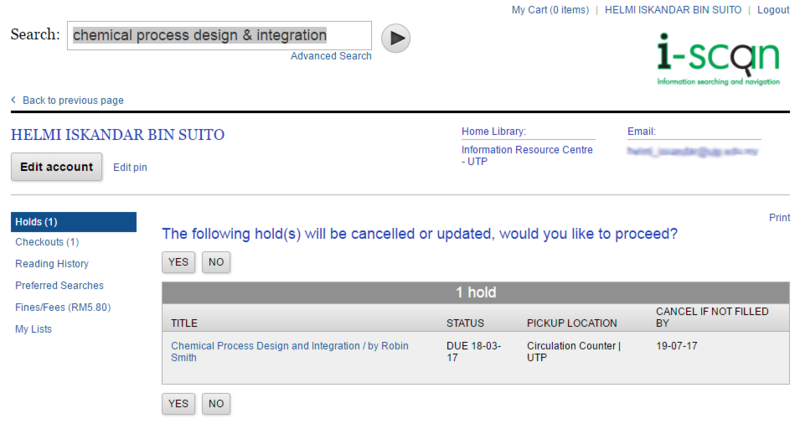 Step 9: On this page, system display item on hold by user. Step 12: Hold item will be deleted from user account.